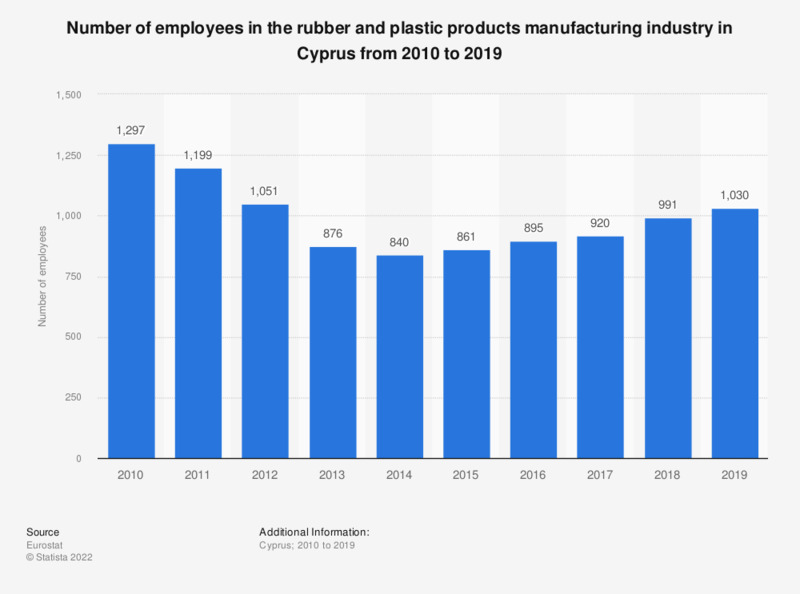 This statistic shows the number of employees working in Cyprus' manufacturing sector of rubber and plastic products from 2008 to 2014. In 2014, the manufacturing sector of rubber and plastic products employed 840 people in Cyprus. Data coverage corresponds to Section C22 of NACE Rev. 2.